The proposed BRT corridor of 25.8km is designed as a signal free corridor, which starts from Chamkani on GT Road through Pir Zakori Bridge, Peshawar Bus Terminal, Hashtnagri, Hospital Road, Khyber Bazar, Soekarno Chowk, Shoba Chowk, Railway Road, Sunehri Masjid Road, Aman Chowk, University Road, Jamrud Road and terminates at Hayatabad Phase-V. The corridor will be mostly at-grade, whereas elevated U-turns and BRT only elevated segments & tunnels are provided at certain locations to remove the conflict with mix traffic. The BRT buses will be able to serve both dedicated BRT corridor and other off-site BRT feeder routes as well. 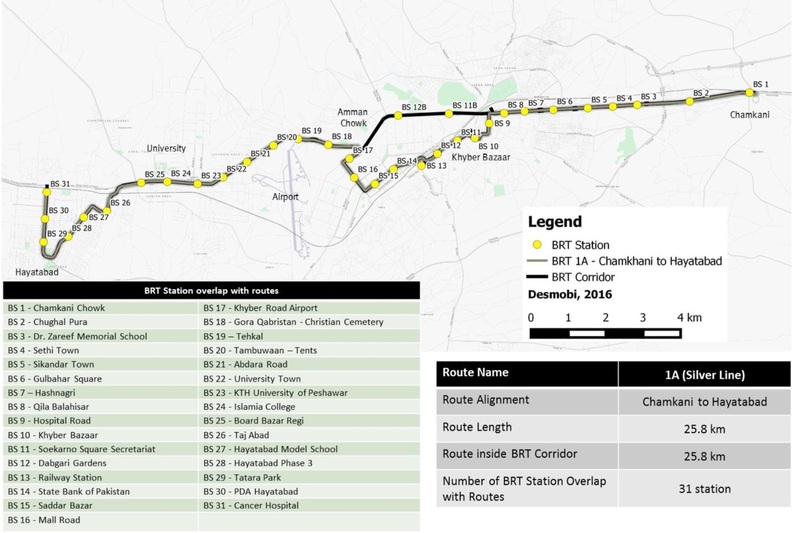 At the initial stage, there will be total 8 BRT routes out of which 1A is going to be built as dedicated from Chamkani to Hayatabad whereas other seven routes will serve as feeder routes. The BRT Bus fleet is comprised of 173, 9m buses, 150, 12m buses, and 60, 18m articulated buses. 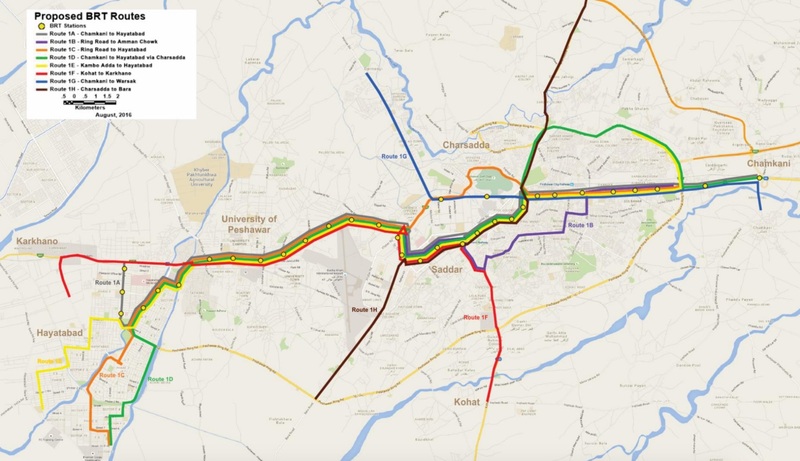 Peshawar Mass Transit System will be complemented by a feeder system consisting of 8 routes extending 68 kilometres. Feeder buses will use dedicated BRT lanes as needed before exiting the system and entering onto city streets as on-street bus service. The feeder routes will add an additional 100 stations along those feeder lines, all of which will be new construction. Feeder station will be spaced on average 400 metres from one another. Feeder system buses will be 9 and 12 metres long. The BRT full alignment option starts from Chamkani, near the Chamkani train station. It goes along the GT Road at-grade until the junction with Ashraf road where it will enter into a tunnel connecting both approaches of GT Road, Malik Saad Shaheed road and Cinema road. After the tunnel, the main BRT route follows Cinema Road at- grade where it goes elevated to bypass the junction with Hospital road. It stays elevated on Khyber Bazaar road and Railway road, and passes the Soekarno and Suba Chowk, the two most congested intersections in the Khyber Bazaar area. After the railway road, the elevated BRT section turns right at Anwar Saeed medical center to cross the railway station, where a BRT-only bridge will be constructed. After crossing the railway station, the BRT goes at-grade again and join Saddar road just after Peshawar Press Club. On the preferred alignment, the BRT stays at-grade on Saddar Road, turns right to Khadim Hussein Road and Sir Sayed Road to go to Amman Chowk, where the BRT goes on BRT-only tunnel to cross Amman Chowk. 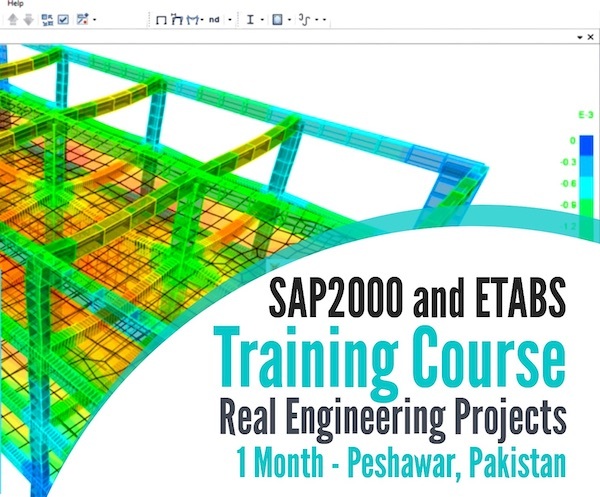 The corridor continues through GT Road and Jamrud Road where it goes into an elevated BRT only corridor above a dried up river bank before the Bab-e-Peshawar Marco Polo Bridge until it joins the Habib Jalib Road towards Tatara Park and joins the Ring Road. In this alignment option, total length of BRT is 30.8 km, in which 25.8 km will be built in Phase 1, and 5 km in Phase 2. Out of the 30 km, there are some segments that will be built elevated, which is 4.1 km long, and tunnel with 3.5 km long. This will leave the at-grade BRT segment at 23.3 km long for both phases.